"What could be better than The Three Musketeers?" 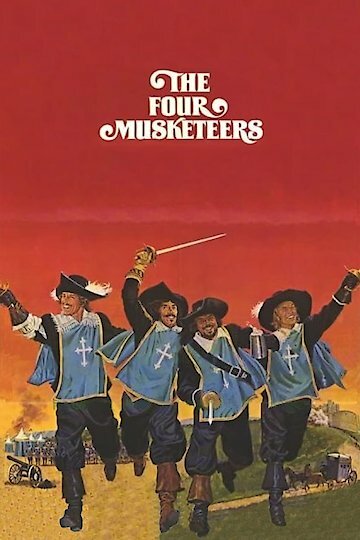 Aramis, Porthos and Athos, the Three Musketeers, have been joined in their royal position of defending the monarchy by D'Artagnan, their eager young apprentice. The four of them have a big task ahead of them as they try to protect the queen and her beloved dressmaker from the nefarious villains who mean them harm. Whatever they do, it is sure to be full of swashbuckling adventure, and they can count on each other to for support and friendship every step of the way. The Four Musketeers is currently available to watch and stream, buy, rent on demand at Amazon, iTunes, Google Play, YouTube VOD online.